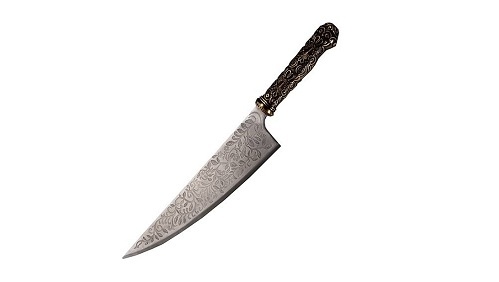 The Alice Mini Vorpal Blade by Epic Weapons makes for the perfect letter opener! We ARE including the infamous collector box for which you can store or display your Mini Vorpal! The collector box is received open from the manufacturer. Motivated to learn about the secrets that haunt her, Alice Madness Returns 10 years later. Oblivous to the mortal danger and diseased ambiance around her in the various realms of Wonderland, Alice presses forward to understand it all. Alice Madness Returns Mini Vorpal Blades... collector box may show shelf/case wear. 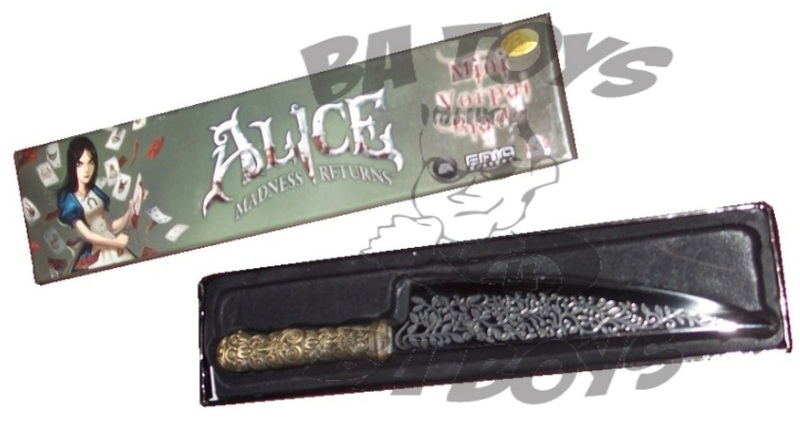 This 8 1/2 inch Alice Madness Returns Mini Vorpal Blade Replica is cast with the highest quality Japanese stainless steel with custom etched molds created to reflect the exact details of Alice's primary weapon. Known for their high quality collectibles, Epic Weapons has done it again with this mini replica of Alice's primary weapon. The 8 1/2 inch Mini Vorpal Blade has been and IS HOT! This piece doubles as a great conversation piece should you choose to display it. Use it as a letter opener (it's the perfect size) and watch everyone take a step back when you open your mail! Rocketing this item to a highly sought-after collectible status is not only the high quality blade, but the highly detailed stylized Collector Box(included)!